Stargazing is one of the best nighttime activities you can enjoy in your RV, and Pennsylvania is one of the best states to find dark, starry skies. Our state’s numerous national parks and green spaces offer scenic places to search for your favorite constellations or begin your new stargazing hobby. The following are some of our favorite places to throw down a blanket and stare at the stars in Pennsylvania. Cherry Springs State Park is known as one of the best places in the country to stargaze due to its exceptionally dark skies. This 82-acre state park features an Astronomy Observation Field and offers a number of astronomy programs throughout the year. Log onto the Cherry Springs State Park website to view their calendar of events, or simply head out to the park at 4639 Cherry Springs Rd. in Coudersport, to admire the skies on your own. 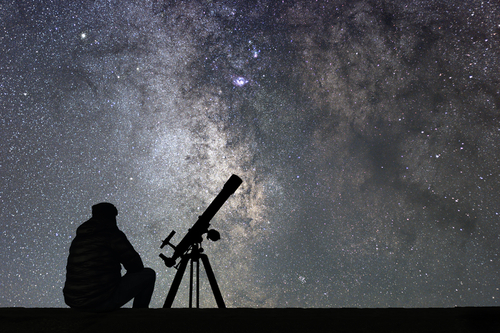 Pittsburgh residents don’t have to travel far to enjoy a stargazing adventure. The Mingo Creek Park Observatory is located in Finleyville, Pa., and has been a go-to spot for Pennsylvania stargazers for nearly 80 years. Attend a Mingo Creek Park Observatory Star Party to meet fellow stargazing enthusiasts and possibly even catch a meteor shower. Log onto the Amateur Astronomers Association of Pittsburgh’s website to see a schedule of their upcoming Star Parties. The Delaware Water Gap National Recreation Area is a 70,000-acre park that’s filled with forested mountains, trout streams and a breathtaking 1,000-foot-deep water gap. The National Recreation Area is located between I-80 and I-84 in Pennsylvania and New Jersey. The more than 100 miles of hiking trails, scenic beaches, rivers and numerous peaks are exciting places to hang out in the day and breathtaking areas stargaze at night. There’s no better place to start your Pennsylvania stargazing adventure than right here at Fretz RV in Souderton. Stop in and see us to browse our massive selection of new and used RVs today.